In this look at the CIA’s most secretive operations and the devices that made them possible, Spycraft tells gripping life-and-death stories about a group of spytechs–much of it never previously revealed and with images never before seen by the public. These amazingly inventive devices were created and employed against a backdrop of geopolitical tensions–including the Cold War, the Cuban Missile Crisis, and continuing terrorist threats. 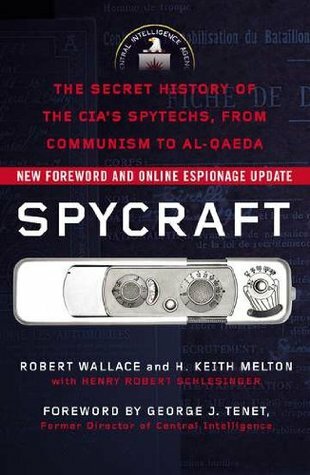 Written by Robert Wallace, the former director of the Office of Technical Service, and internationally renowned intelligence historian Keith Melton, Spycraft is both a fantastic encyclopedia of gadgetry and a revealing primer on the fundamentals of high-tech espionage.